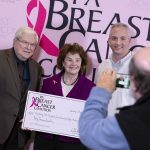 The PA Breast Cancer Coalition awarded Dr. David Waning of Penn State Cancer Institute $50,000 to advance his studies of metastatic breast cancer treatment. 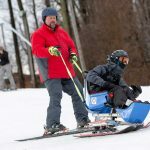 People who are recovering from traumatic injuries were able to experience the thrill of cruising down the slopes on Adaptive Ski Day on Feb. 8 at Roundtop Mountain Resort in Lewisberry, Pa. 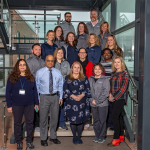 The Department of Physical Medicine and Rehabilitation at Penn State Health Milton S. Hershey Medical Center, Penn State Health Rehabilitation Hospital, Ability Prosthetics and Orthotics Inc. and Baltimore Adaptive Recreation and Sports hosted the annual event. 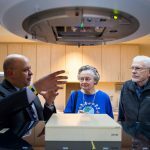 Penn State Health Milton S. Hershey Medical Center has become the first hospital in Pennsylvania to be accredited for its Epilepsy and Critical Care EEG Monitoring Programs. 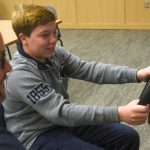 The Alive at 25 driver’s awareness course presented by Penn State Trauma Community Outreach team teaches teens and their parents how to stay safe on the road. 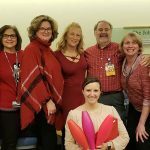 Penn State Health and Penn State College of Medicine employees and students helped raise awareness of women’s heart health by wearing red on National Wear Red Day Feb. 1. 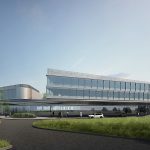 Penn State Health’s planned acute care hospital in Cumberland County has received the last township approval necessary for the project to move forward. 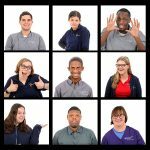 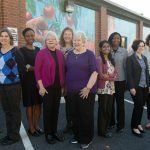 Project Search teaches students with disabilities transferrable, marketable skills in a real work setting. 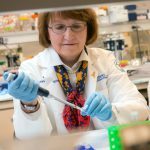 The program has been at Penn State Health for the past four years.